Want to learn how to drive? Looking for a reputable driving school in Detroit, MI? At Bronze Cruising Driving School LLC, we have you covered! Our State Licensed and Certified Driving Instructors are ready to share their expertise with you. From classroom setting to actual hands-on practice, you can count on us to guide you every step of the way. It is our goal to help you become a responsible driver through our exceptional driver education programs. Visit our driving school today, and let’s get started! We are located between Greenfield and Southfield, directly across the Marathon Gas Station. 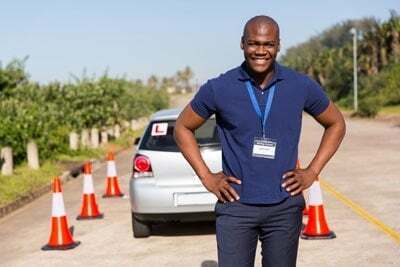 The State of Michigan requires individuals under the age of 18 to successfully complete a driver education course (Segment 1 and Segment 2) and have parental consent before receiving their Level 1 or Level 2 License. Our driving school is committed to teaching your children safe and responsible defensive driving! We will furnish a state-certified licensed instructor, insurance, and a motor vehicle for all Behind-the-Wheel (BTW) Instruction. At the time of registration, a student may pay half as a down payment and is given up to two weeks to pay the remaining balance. However, Behind-the-Wheel instruction CANNOT begin until the balance is paid in full. We accept MasterCard, Visa, checks, and money orders. Note that there is a fee of 39.00 for returned checks. Instructors must be certified by the State of Michigan and have their current criminal background check clearance. If you are interested in becoming a part of our driving school, send your resumes to us. You can also contact us to inquire about available times to come in and fill out an application. At Bronze Cruising Driving School LLC, we are your reliable partner in driver education. Our brilliant driving school Administrator, Angela V. Stotts-McClary, has always highlighted the value of offering comprehensive driving lessons that are suitable for teenagers and adults alike. Get in touch with us today, ask about our classes, and start driving in no time! We look forward to hearing from you soon.